Thanks! 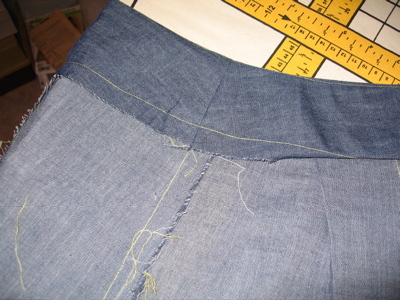 This looks as if it will be really useful.Do you know of a good tutorial for putting a pocket in the side seam of a skirt? 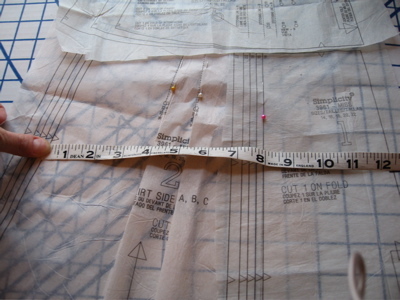 I’m making my wedding dress now, and am realizing that I really want pockets in it. Lydia, I am 100% behind wedding dresses with pockets. 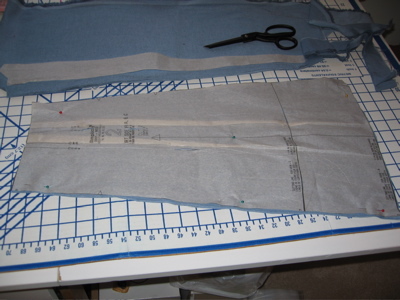 For side-seam pockets I usually cannibalize a piece from a pattern that already has them, then just follow those directions, after you figure out how far down on the skirt they should fall. The skirt is nice, I’m totally in favor of pockets, but what I really like is the hose. I wish I had the guts to wear those and a job where people wouldn’t look at me really, really weird if I did. I love the yellow accent! Really makes it snazzy!kmkat: You do have the guts and it really doesn’t matter how people look at you. They are just jealous that you have the guts to be as cool as you want to be! Oh, fer heaven’s sake! I forgot all about They Might Be Giants! And they would make an awesome sewing soundtrack!Great skirt and very followable directions. Erin, you are a nourishing soul. Erin, I just love that you put these directions up!!! I was just trying to figure out how to put pockets on a straight skirt with 3 panels in front and here I find it on your blog. And as for those hose, I absolutely **LOVE** them!!! Where did you find them? Is there a website somewhere that I can purchase them? They are absolutely fabulous and look great with your new skirt. What a useful and detailed tutorial. Thank you! I’m bookmarking it. Love your tights, too. Why do I never wear anything like that? Someone else who likes Soul Coughing. 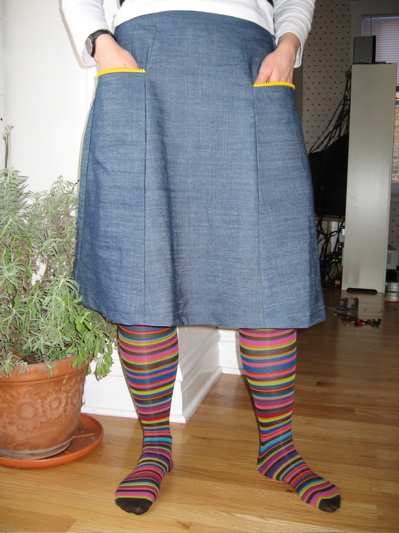 I feel like we’re best friends!That’s a great-looking skirt project, whose value is only mildly outstripped by the socks! I *do* love Soul Coughing. I also forgot to add The Dismemberment Plan. Man, Travis and the Plan make some fine sewin’ music. The tights are from H&M, but last year, which means they’re probably not in stores now. A great site for tights is http://www.sockdreams.com.And as for wearing funny tights … I say go ahead and do it. If you do it all the time it stops being a novelty! This is a fabulous tutorial! Thank you, Erin!I have to admit, I like gauchos. I think it’s some sort of holdover from my childhood. I haven’t worn them since 1982 or so, but I still like they way they look.–Lydia, but not the Lydia above who is getting married–in case you were worried. Not my sort of skirt at all, but I love the zipper edging. You are a genius!And, of course, the tights. Erin…I only comment occasionally, but since “half assery” is my middle name, I just had to say, that I adore your sewing methods, thoughts, approaches and whatnot whatever, and to tell the truth, half assery has always served me well, and NEVER interfered with my enjoyment and love of sewing. I had a best friend in college (a million years ago) that also sewed and was a pretty good seamstress, but she just never felt the joy, never, because she was just too type A to ever let herself. I always felt kinda sorry for her.Sew on, sister. 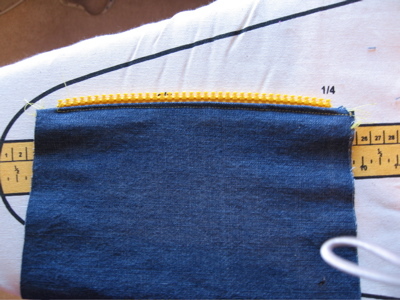 Gorgeous Things over at the Sewing Divas blog has a great tutorial on inserting a centered zipper. 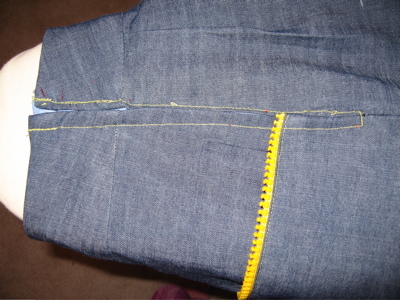 I prefer a lapped or invisible zipper, but her method makes me want to try a centered zipper. You are aweseome. I love that diet Coke or similar beverage is listed as one of the things you need to make this skirt. But that’s just one of the awesome things about this website. Since I work for a living I don’t have time to list them all. I don’t know whether to be encouraged or intimidated! But it’s great to see that other people can fool with their patterns and get their stuff to turn out. I’m just now trying to alter a princess-seamed jacket and keeping my fingers crossed that it will work.BTW, does anyone have tips for sewing microsuede? I wasn’t aware that it was usually sold as upholstery fabric, because it was stuck in the rack with the regular old suitings. It was super cheap and has a nice finish, so I thought it would make a nice suit, but now I’m finding I can hardly get my pins through it to hold the pattern in place. Hi, can I suggest some zipper tutorials? No basting, pinning and praying, honest. 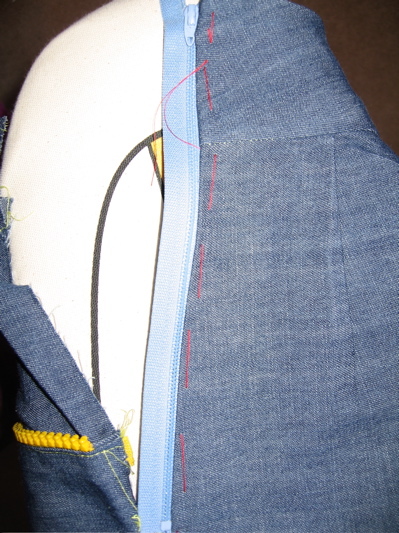 There’s a whole list of zipper tutorials here:The zipper tutorials (lapped, centered and invisible)http://www.fashion-incubator.com/mt/archives/process_review_lapped_zipper.htmlhttp://www.fashion-incubator.com/mt/archives/lapped_zipper_template.htmlhttp://www.fashion-incubator.com/mt/archives/lapped_zipper_construction.htmlhttp://www.fashion-incubator.com/mt/archives/lapped_zipper_specs.htmlhttp://www.fashion-incubator.com/mt/archives/centered_zipper_template.htmlhttp://www.fashion-incubator.com/mt/archives/centered_zipper_construction.htmlhttp://www.fashion-incubator.com/mt/archives/invisible_zipper_tutorial_pt1.htmlhttp://www.fashion-incubator.com/mt/archives/invisible_zipper_tutorial_pt2.html Be sure to read visitor comments at the close of each posting. I didn’t write the invisible zip tutorial and plan to be updating that one (posted by a visitor).Also, consider fusing the set down of the zipper. I’m in love with that lightweight knit tricot stuff lately. Good show (and yeah, I love the tights too). Love it! 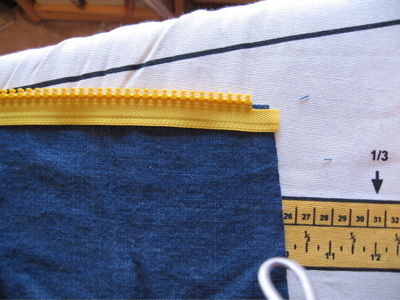 The yellow zips are great!Thanks for the shout-out, too, Erin! My supply list for sewing always includes a few pieces of chocolate, preferably Hershey nuggets. 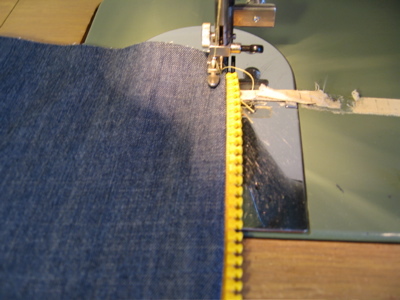 I like those yellow zippers too and it is fun to see how other people sew. I’ve been sick and spent my time looking through a whole stack of Threads magazines. I love those magazines, but they can make you a bit paranoid to do anything less than couture sewing! Even though the only fabric “art” I engage with is to sew clothing, I loved Threads in the old days when it provided an abundance of inspiration that arose out of its coverage of many different fabric arts, with how-to’s embedded throughout. Reading it then was like visiting and being part of a creative fabric arts community. Authors’ voices came across like fellow members of said community like equals except that some folks knew more and had information to share about this or that.Threads lost me as a long-time subscriber when it changed to a garment-sewing only magazine. Not only did I miss the stimulation of seeing other fabric arts that I appreciated even though I didn’t do them myself, but I also didn’t enjoy the mag’s new tone. It’s as though it created two sets of people: authors as experts, and readers who were not experts but learners. Not everyone may feel this, but I felt talked down to by the mag’s new general tone (as opposed to by any author’s individual attitudes. This little rant is about the redesign of the magazine, not about individuals connected with it.) Reading the “new” Threads, I no longer felt like an equal in an artistic community who may want to learn something new, but more like I was being constructed as a passive reciepient of information that was being passed down from others who had a status essentially above mine (above my assigned status as “non-expert”). As if never the two could actually meet. I didn’t want to be a student in a conventional classroom; I wanted to be a participant in a creative community.In spite of the specific instructions which must be found useful by so many (or else Threads wouldn’t exist anymore) that Threads has offered since the redesign many years ago, I think I’ve only ever bought one or two issues from the newsstand. The articles just don’t draw me in enough to buy one. And I’m an obsessive sewist, and I still have a lot to learn! But not from there.I’m sure lots of folks must enjoy Threads as it is today, and either aren’t bothered by its structure or else experience it differently than I do, and that’s well and good. I just loved the original Threads so much that I still miss it, and I’ve found nothing since that satisfies me in the same way that Threads used to.Anyone else feel the same way? Well, yes. 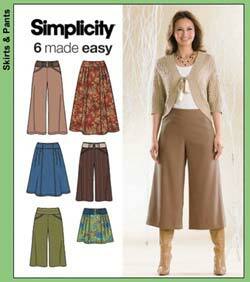 And I looked at maybe changing the gauchos into a skirt, since they have the same waistband. 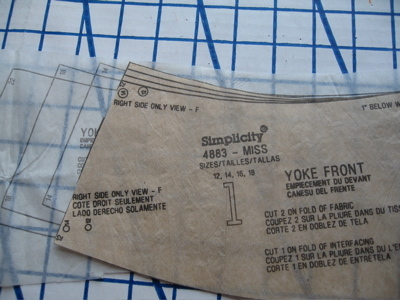 But in the end it was easier to just add the pockets to the skirt pattern! What a fun post. Liked all the pictures. You another great blog (and I know she reads this one, have seen her name) is Julia’s Sewing Blog at http://juliasewing.blogspot.com. She always has great pictures on to put something together. 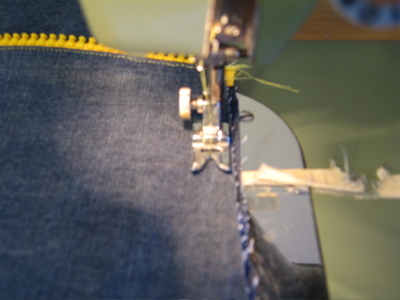 On music while sewing:I very much enjoy super loud noisy rock music, Like jane’s addiction, Black Sabbath, Megadeth, etc. though recently I bought Dr.Dre’s “the Chronic” and that seems to work well too. 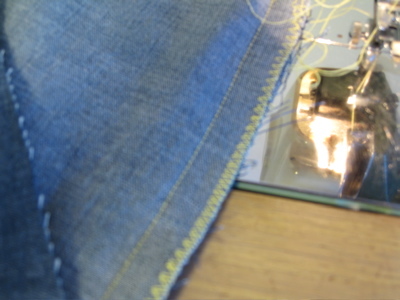 Don’t know what it is, I enjoy really much noisier music while sewing. the yellow zips are great – and the socks even better. Thanks to you being such an inspiration, I finished 2 UFOs this weekend. One a-line skirt that buttons down the front and one a-line with darts and a zipper in the back. 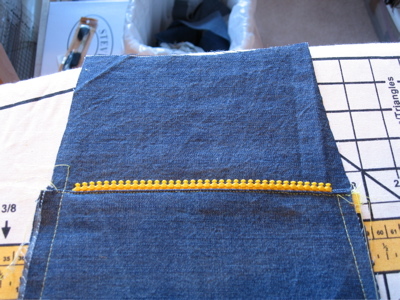 (It was the first foray into buttons for me and my second attempt at a zippper.) Oh, I also had to do belt loops. The button up skirt is a little big and will need to be taken in, but the other is just about right, maybe a little snug.Thanks to your philosphy of half-assery, I have embraced my flaws and worn my skirt – proudly — to work. Thanks Erin. Kathleen, thanks so much for the tutorials! I saw them on your site but didn’t bookmark them then … now I have.Juliet, I didn’t use interfacing for this skirt, because the fabric was pretty firm. 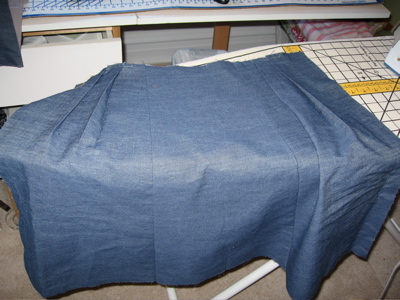 Unless the fabric is really flimsy or stretchy, I usually don’t, because I’m very lazy. 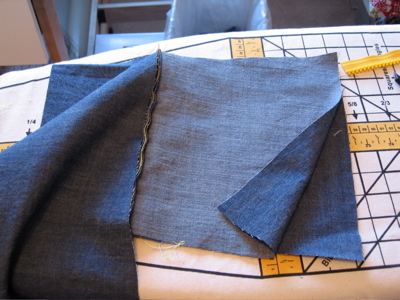 If the fabric is very heavy (like corduroy), I’ll use a lighter-weight fabric for the facing, to reduce bulk. Now, on the subject of “dowdy”. Does it, in this context, mean: “Neither long nor short so off with it’s head [so to speak]”? Or, “Not a fashionable length this year”? What is your skirt length philosophy, Erin? 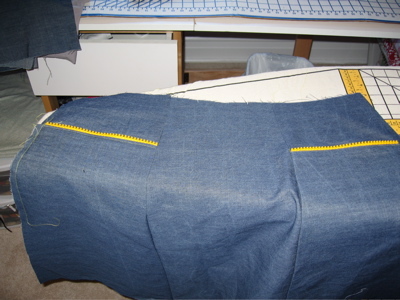 Gaile, I have to say I almost never make pants. It’s just not worth it, as I hardly ever wear them (although I’m wearing a pair of boy’s corduroys from Target right now). Rebecca, dowdy for me is just shorthand for “a length I don’t like” I try to keep my skirts either at the kneecap or at the lower calf … in between looks weird on me, I think! Love the tutorial! I add pockets on my skirts as well! I’ll have to make up a tutorial.. Just wanted to let you know the you could keep the pleats if you don’t mind them coming from the pockets. 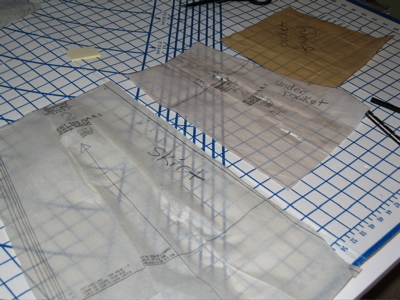 Something like: tape them closed from the top to just under where the pockets will be, then make your spare pattern pieces.If you don’t mind cutting that ‘original’ pattern piece, the pleats are already marked (at least by the folds from taping). Just open them out -and remark as necessary (not swear, just use a pen to draw them, mind you). 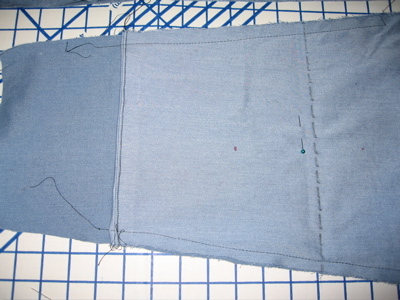 The next step would be to make the pleats in the side front panel, then make/attach the pocket(s).I’ve got to make a pair of bloomers for my daughter, so I’ll see if I can remember to add pockets to that pattern to give you an idea. 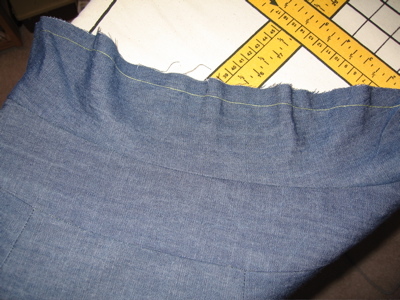 I usually do the slanted jeans-style pockets on my A-line skirts, so I’ll be adding those. oh god. that’s so cute. and so retro. i’m a little bit intimidated but i think i’m going to try. Love that skirt with long white sleeve shirt and those colorful leggings! 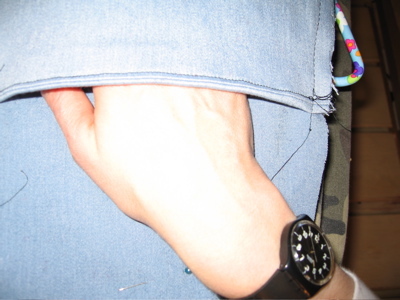 The pockets should be up a little higher and make sure they are deep pockets so they cover your hand and half your lower arm when you put your hands in them. Iam fussy about this on all my pants, jackets, dresses, and skirts cause I always put my hands in my pockets and I love pockets.